The ICC Champions Trophy was launched in 1998 and it takes place every two years. South Africa won the first event while Australia clinched the sixth one. The second Trophy was taken by New Zealand in 2000, India and Sri Lanka were declared joint winners in 2002, West Indies grabbed the 2004 tournament and Australia became victorious in 2006. Australia is the only country which has grasped the coveted Trophy twice (2006 and 2009) and they are on a hat trick. Below, we will summarize the highlights of the finals of the six Champions Trophy tournaments. Australia, England, India, New Zealand, Pakistan, South Africa, Sri Lanka, West Indies, Zimbabwe. 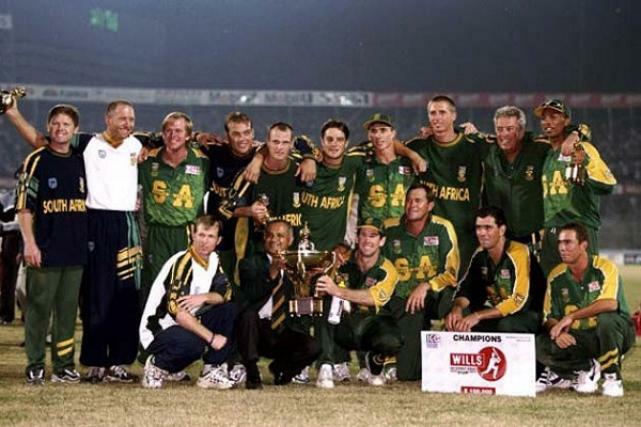 The final was played between South Africa and West Indies on November 1, 1998, at Bangabandhu National Stadium, Dhaka. West Indies – 245 all out in 49.3 overs, Philo Wallace 103, Carl Hooper 49, Jacques Kallis 5-30, Cronje 2-44. South Africa – 6-248 in 47 overs, Cronje 61*, Mike Rindel 49, Kallis 37, Phil Simmons 2-45. 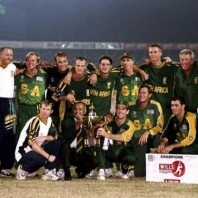 Result – South Africa won the Wills International Cup by four wickets. The final was played between India and New Zealand on October 15, 2000, at Gymkhana Club Ground, Nairobi. 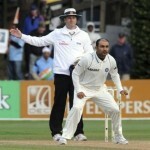 India – 6-264 in 50 overs, Ganguly 117, Sachin Tendulkar 69, Scott Styris 2-53. New Zealand – 6-265 in 49.4 overs, Chris Cairns 102*, Chris Harris 46, Venkatesh Prasad 3-27, Anil Kumble 2-55. Result – New Zealand won by four wickets. India and Sri Lanka qualified for the final which was washed out on September 29 and 30, 2002. Australia, New Zealand, United States, South Africa, West Indies, Bangladesh, Pakistan, India, Kenya, Sri Lanka, England, Zimbabwe. The final was played between England and West Indies on September 25, 2004, at Kennington Oval, London. England – 217 all out in 49.4 overs, Marcus Trescothick 104, Ashley Giles 31, Wavell Hinds 3-24, Ian Bradshaw 2-54. West Indies – 8-218 in 48.5 overs, Shivnarine Chanderpaul 47, CourtneyBrowne 35*, Bradshaw 34*, Andrew Flintoff 3-38, Paul Collingwood 2-22. Result – West Indies won by two wickets. The final was played between Australia and West Indies on November 5, 2006, at Brabourne Stadium, Mumbai. West Indies – 138 all out in 30.4 overs, Chris Gayle 37, Shivnarine Chanderpaul 27, Nathan Bracken 3-22, Shane Watson 2-11. 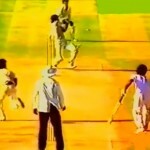 Australia – (target 116 from 35 overs, D/L method) 2-116 in 28.1 overs, Watson 57*, Damien Martyn 47*, Ian Bradshaw 1-21. 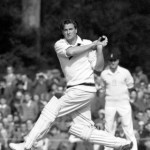 Result – Australia won by eight wickets. The final was played between Australia and New Zealand on October 5, 2009, at SuperSport Park, Centurion. New Zealand – 9-200 in 50 overs, Martin Guptill 40, Neil Broom 37, James Franklin 33, Nathan Hauritz 3-37, Brett Lee 2-45. Australia – 4-206 in 45.2 overs, Shane Watson 105*, Cameron White 62, Kyle mills 3-27. Result – Australia won by six wickets. The seventh edition of the Champions Trophy will commence from June 6, 2013, and the first match will be played between India and South Africa at Swalec Stadium, Cardiff. Australia, England, New Zealand, Sri Lanka, India, Pakistan, South Africa, West Indies.